With a main display area and some have a curved logo panel. Has a permanent message with clear poster cover option over. 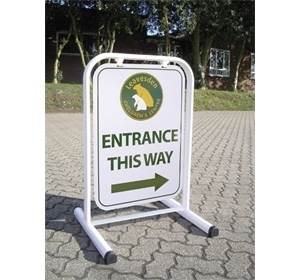 A really robust 'A' Frame to hanging style designed to last and to be safe. 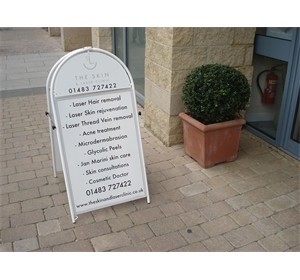 The Plaza 'A' Frame is a robust and versatile pavement sign that is designed to be safe, to look good and to last for many years. 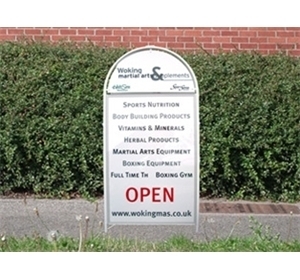 Complete with a separate logo display panel and a main advertising panel below. 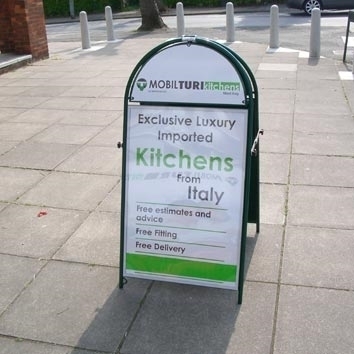 The main panel is supplied with clear weather resistant covers to protect temporary posters or graphics. 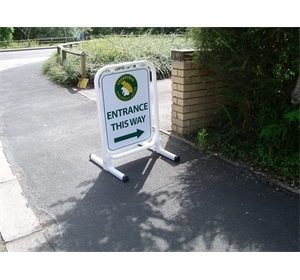 These 'A' Frames offer a way to have a permanent message but can also be used to advertise your special events. 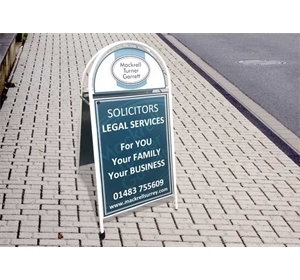 They easily return to their previous use when the poster is removed. 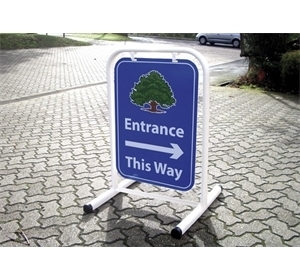 Our 'Edinborough' hanging panel pavement sign is an economical option that offers a double sided sign panel that is top hung and will swing in a high wind so that it remain stable. 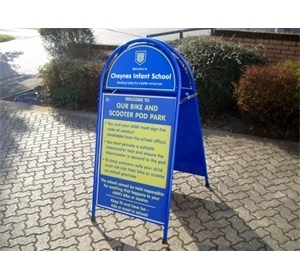 The graphic or message is printed to both sides of the panel. 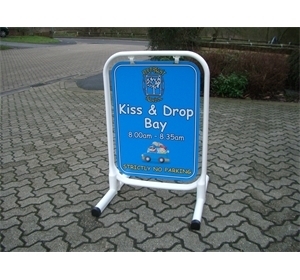 These items are designed to be safe and easy to use in busy areas.